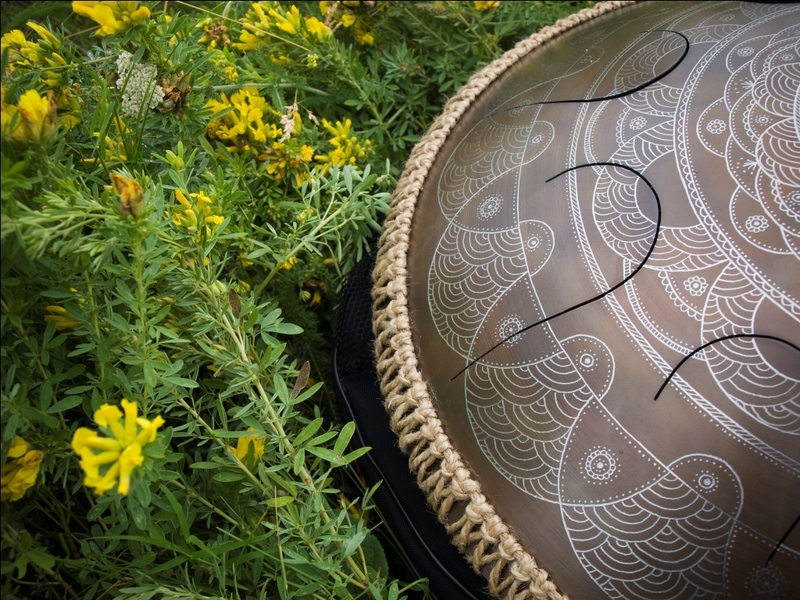 Vadjraghanta have been responsible for producing some of the most visually-stunning steel tongue drum offerings out there for a while now. A rich-looking dulled-gold/bronze forms the base look of most Vadjraghanta creations, blended with tapestry-like weaves, fractal-like patterns, and embedded gem-like highlights. If we could personally choose to hang any piece of playable-steel we’ve come across thus far, upon our wall, purely for its ornate qualities, the work of Vadjraghanta, would almost certainly be it. 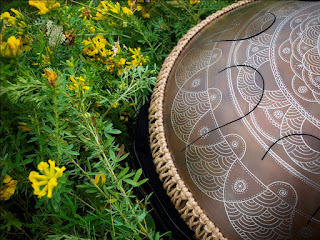 The above two instruments are both OMana Handpan (made by Roman Reva), that have gotten the Vadjraghanta treatment.